Do you want to create a money-making product that you can sell online quickly and easily? In the video below, you’ll get your own product creation blueprint so you can generate revenue year after year. Creating and selling information products is all the rage right now with good reason. If done correctly, they can be created quickly at little cost and generate revenue month after month. 5 benefits of creating your own information product. Create it once and sell it for years to come. Make money every single month. Generate a passive income while you’re sleeping or when you’re taking a break from the computer. What are the benefits of creating a digital product over a physical product? It costs less, there’s no shipping, instant delivery, easy to produce, easy to update. Create unlimited purchases. Just create it once, and sell it over and over. Here are the steps to create and sell your own money-making product quickly and easily. 1. Start with market research. It’s very tempting that when you have a product idea to just dive in and create the product. The problem is you have no idea if it’s going to sell or not. Therefore, it makes sense to do in-depth research before you create the product.Think about the problems and issues your target market has. If you can provide solutions to their burning problems, you’ll have a product that sells.You can do your research online by visiting Amazon, Clickbank, and Jvzoo. Product creators use these companies all the time to sell their products. 2. Determine your product’s price. I often struggle what price to charge my product and wonder if it’s too high or too low. The best thing to do is to just go online and find similar products that are being sold. You’ll probably find a range of products. Look at what’s included in the product.When you see the price, that may not be how much the person is making from the product. They may have a series of upsells or have many affiliates promoting the product. What’s the advantage of an affiliate program? The advantage is that other people will be spreading the word about your product, however, the profit will be split between you. For example, if you want to make $20 per sale, you’ll have to charge $40 so you can give 50% commission to your affiliates. Create a list of what you want to include in your product. For example, your product could be an e-book with an e-cover. It could be a series of videos. It could include templates and checklists.Once you’ve got a clear vision of your product, then it’s easy to create it. It’s easy to be overwhelmed at the beginning. Keep in mind it doesn’t have to be put together in one day, it’s okay to take your time. Make your product creation manageable. Break it down into small parts so you can work on each part separately. 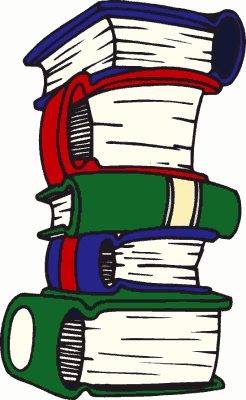 For example, if you create an e-book, you can just write one chapter at a time. Set aside some time every day to work on the e-book. For instance, you can just devote one hour per day. When you work on your product every day, you’ll get it done. Another idea is to outsource the product creation work. Add value to your product.When it comes to creating your own information product, you want to make sure that it’s valuable and helpful to your customers. If it doesn’t meet their needs, provides benefits to the situation or solve their problems, then they may ask for a refund. One of the best ways to add value to your products is to add bonus items. These may include templates, reports, cheat sheets, or even a webinar. This will help your customers to get a greater understanding of your product and make it easier to implement the solution. 4. Create upsells for your product. Upsells refer to additional products your customers may buy if it’s related to the product. Amazon does this very well. For example, if you purchase a product on Amazon, they’ll show related products that you may wish to buy also.You can also upsell your customers to a membership course where they get more tutorials and support. Other examples of upsells could be an audio series, a video series, webinar series, or consulting.Avoid offering too many upsells, which may turn your customers off. Just make sure that all the products in your upsell are related to each other. 5. Promote before your product launch. – YouTube video ads campaign. Just pick a few promotions that you can set up. For example, you could make a goal of guest posting on three bloggers. You can live stream on YouTube, Facebook, or both. You can create a special launch calendar so you know what to do each week, then just tweak it as you know what works or what doesn’t. 6. Prepare for your launch. Make sure your sales copy clearly and accurately explains what your customer is going to get. Describe each element of your product and the benefit to your customer. Instead of writing a long sales page, mix it up by adding images to the content, this will make the sales page easier to read. Add video if possible. Adding your video to a sales page is a great way to improve conversions. You can simply record yourself talking about the product, upload it to YouTube, or embed it on your website. Do a test sale. It’s easy to assume that your shopping cart is going to work correctly, but there’s no guarantee. Run a few tests sales to make sure that your customers will have no hassle when they go to buy the product. After the product launch, you may think that you can just sit back and relax. However, getting through a product launch doesn’t mean that your job is over. In fact, by the time you launch a product, your work has just begun.Start thinking of creative ways to promote your new product. Some promotional ideas may include a video series, guest blogging, Facebook Ads campaign, video ads campaign. Get active in niche groups and forums where you can answer questions that might send traffic back to your product. Creating and launching an information product can be fun and easy. You don’t have to wait until you feel ready or until you have decades of experience. You can launch one right now. Do you want to extend the reach of your audience? 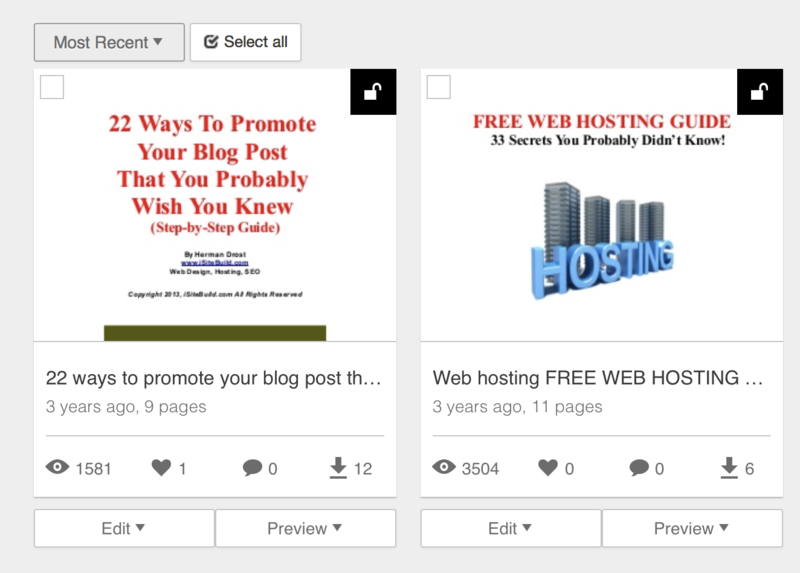 Do you want to create a beautiful ebook, report or lead magnet from your existing content? Designrr is a software tool that allows you to create beautiful ebooks or reports from your blog posts, web pages without the need to write any content. It removes the headers sidebars, footers, social icons, adverts and navigation so you end up with pure, clean content in your ebook. Watch the demo video below to see how Designrr works..
YouTube Videos – extend the reach of your audience by converting a transcript of your video content into a PDF file as a free report. You can then upload the PDF file to document sharing sites on the web. Blog Posts – get new subscribers and sales by bundling several blog posts together into a beautiful ebook which you can use as a lead magnet to capture new leads. Bonuses -surprise customers by giving away an ebook as an unadvertised bonus when somebody buys a product from you. Autoresponders – promote your ebook or report in follow-up emails. which resulted in generating more traffic. 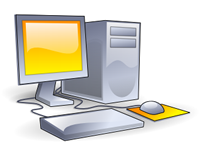 The Free Web Hosting Guide below currently has received 3504 views. 22 ways to promote your blog post” has currently received 1581 views. I highly recommend Designrr to quickly and easily create beautiful ebooks, reports or lead magnets from your blog posts or web pages without the need to write any content. Article marketing has become one of the most popular and effective ways to generate traffic to your website. This is because the top article directories receive millions of visitors each day. You can benefit from this traffic by submitting your articles to them. Ezinearticles is the top article directory because they constantly reward their authors by finding new ways to attract more visitors to articles submitted to their website. EA gets indexed by the search engines every day or several times a day. If you optimized your article for a relatively non-competitive keyword or keyword phrase it may appear on the first page of the search engines. Visitors searching on your keyword will find your article and then visit your website by clicking on the link in your resource box. RSS stands for really simple syndication. An RSS Feed Reader (such as the Google Reader) enables visitors that subscribe to the feed to receive summaries of your articles in their reader. EA has an RSS feed that enables visitors to instantly get notified of new articles. You’ll receive a spike in traffic every time you submit a new article. *Email alerts. Visitors to EZ can sign up to receive email alerts in their niche. Whenever a new article is published in that niche the subscribers get notified. Other Recent. Your most recently submitted articles will immediately appear in this section. This makes it easy for ezine publishers to select similar articles in their niche for publication. Most Viewed. If your article receives lots of views it will be selected by EA to appear in this section for 60 days. You benefit by receiving even more views as people visit this section to find the most popular articles to place in their publications. Most Published. If your article gets published in multiple ezines or newsletters it may appear in this section for 60 days. Invest in writing high quality articles so your articles will get displayed here. Visitors to your articles on EA can share the article by clicking on any of the Facebook, Twitter, Stumbleupon, Delicious, FriendFeed icons that are displayed at the end of each article. Twitter subscribers can automatically be notified of new articles by synchronizing your EA account with your Twitter account. Under Article Tools-Article Reports in the administration area you can view the click through rate of each article. It also provides the month views and the keywords visitors used to find your articles. The article tools section also enables you to submit press releases, submit your ezine to an ezine directory, create a widget for your website, get article title suggestions and view your author rankings. View your article marketing investment as a highly effective method for advertising your website. If done frequently and consistently it will continue to attract visitors for years to come. Writing and publishing articles is a highly effective method to attract a constant stream of traffic to your web site. Approximately 85% of people never go beyond 10 articles. This means that most people give up because they don’t see the fruits of their labors. Receiving traffic from your articles occurs over time as they appear in article directories, search engines, web sites and ezines. Your web traffic may start with a trickle of visitors then increases as more articles get published. Place yourself in your customers shoes so you can think from their perspective instead of your own. Ask yourself what are their wants, needs and desires? Don’t worry about your article having perfect grammar and sentence structure. Just make sure it reads well and has no spelling mistakes then submit it for publication. It’s better to write more articles than to spend hours trying to perfect your article. Without following a clear article marketing plan you are bound to fail. Decide how many articles you will write and submit each week then stick to it. If you can only commit to one article per week do that however it will take a long time to build substantial traffic. Try to commit or build up to 3 articles per week. This will generate over 150 articles per year. The beauty of this strategy is that they’ll keep working for you for years to come without touching them. It’s like getting free advertising. One article is like having an employee that works for you 24 hours a day, 7 days a week throughout the year without getting tired or complaining. The more articles you write the more employees you will have working for you. As your articles get published all over the Web your traffic will continue to increase and it won’t stop even if you take a break. Instead of spending time and money on discovering the magic formula for generating traffic, focus on article marketing. It will cost you time but it will give a great return on your investment. Press releases are a highly effective method for building traffic to your product or service. It’s not used much by online marketers so you can use it to stand out from your competitors. The biggest problem in getting started is writing the press release however the steps below will show you how to convert the content you’ve already written into a press release for your business. Press release distribution sites are looking for stories that will capture the attention of their audience. Look at the articles written in newspapers. They often begin with a story to capture the attention of the reader. Write 2 or 3 sentences that expand on your headline. It should summarize what your press release (article) is about. This should consist of 400-500 words maximum explaining the significance of your topic and how it will help your audience. For example if you were to take the topic of this article you could describe how press releases help attract traffic, build your brand and get high rankings in the search engines. If your article contains how to information that sounds boring spice it up a little to make it more newsworthy. Try to make your story relevant and create a sense of urgency. This will help it get accepted by the media. This should summarize what your company is about. Include a call to action by introducing your product or service, where the business is located and web site address. This is added to the end of your press release so media can contact you for any questions. Include the contact person, their position, name of the company, phone number and email address. End your press release by adding ### centered at the bottom. Google “free press release websites” to find locations online where you can submit your document. If you’re introducing a new product, service or have redesigned your web site consider sending a press release to let people know about it. It’s a fast and easy way to generate immediate traffic. Short reports are a great way to share your expertise and make money as well. A short report consists of 15-20 pages and is usually sold from $7 to $17 whereas ebooks may be over 100 pages and sell for $27 and up. Short reports are easier to sell because they don’t affect the pocket book as much. Your visitors will buy them without thinking if they can afford it. So how do you create a short report? It’s easier to write on a topic you know a lot about than one where you need to do a lot of research. It will take less time and the content will come easier. Ideas for the tips may include, 7 top reasons, 7 benefits, 7 ways…you get the idea. Write a paragraph of 5 to 10 lines on each tip to create your 7 tips article. You now have created your first article. Use the content of this article for the introduction to your short report. Write as much as you can on each tip. If you get stuck for content visit article directories, forums and blogs that contain content on the same subject. This will stimulate your create juices to flow. Once you’ve completed your 7 articles you’ll have 8 articles altogether (including the 7 tips one you wrote in the beginning). Create an attractive title for your short report. Use the first article as your introduction followed by the main body of your content. This where you simply string all your 7 tips articles together. Remember to include your bio and a link to your web site at the end of your report. Use Microsoft Word or Open Office Software to create your report. Open Office is a free download at openoffice.org. It allows you to quickly convert your document to a PDF file which can be read on any computer with any type of browser. 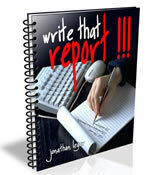 After you’ve completed your first report it becomes easier to create many others. Use them as free bonuses to promote other products or sell them for a small fee. This can be the beginning of building your own information empire. to learn a quick-and-easy method for creating high quality reports in no time and how to build an army of affiliates to sell it for you. Writing lots of articles is the key to building and maintaining a successful online business because the essence is content. Your first article doesn’t have to be perfect but you do have to get it written so you can write successive articles based on that foundation. It’s easier to write about a topic you have passion for or know a lot about than selecting one you have no interest in. To help in that process visit your local bookstore to see what captures your interest. 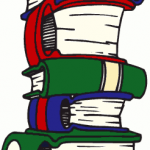 Go online to search article directories, magazines, bookstores or visit forums or blogs. The headline is what a person reads first before reading the rest of the article. Use words that grab the reader’s attention e.g. how to, guide to, simple ways to, tips of, do you, are you…etc. Your introduction should briefly describe what will be contained within the body of the article. It’s intention is to grab the attention of the reader. One way to achieve this is to ask a question or tell a story. The body of your article expands on the introduction. Create a list of 7 tips on your topic of interest then write several sentences for each tip. Your article only needs to be 300-500 words long. 3 sentences make a paragraph of approximately 60 words. Seven paragraphs gives you 420 words. If you add an introduction and conclusion you will easily create a 500 word article. make sure it’s a natural transition. The resource box at the end of your article is where you place your call to action, who you are and a link back to your website. The call to action should directly relate to the content you wrote. Don’t offer a product or service that is unrelated. You want your readers eager to read more of your future articles. Misspelled words, omitted periods, commas or bad sentence construction makes your article appear unprofessional. Run the article through a spell checker and get someone else to read through it before submitting it for publication. Don’t worry about getting your article perfect before publishing. It’s more important to spend your time writing more articles than laboring over one article. If you constantly submit your articles to the top article directories you’ll generate a consistent flow of visitors to your web site. to boost traffic generation to your web site. If you don’t attract visitors to your web site you won’t make any sales. One of the best free methods for traffic generation is to write lots of articles related to your business then distribute them through multiple channels on the Net. There’s lots of content on the web which is not uniquely written. It may be copied from other sources, contain lots of spelling and grammar mistakes or doesn’t provide information the reader can use. A uniquely written article stands out from thousands of others on the Web. Find your own unique style of writing so you’ll naturally get people looking for more of your articles. Search engines spider keywords contained in your article. Include them in the headline, body and anchor text. Use the h1 tag for the title of your article if it’s for a web page. Search engines place more emphasis on this tag than the body tags. If you’re writing about dog collars, include the phrase “dog collars” in the link text (anchor text). of your web site. Your site will rank faster than if you just used the URL of your web site in the text. Links are crucial for attracting web traffic. The quantity and quality of links determine how high your rankings will be. Links can be included in the resource box at the end of your articles, so the more articles you write and distribute on the Net the more links you’ll receive. Links from high traffic web sites, directories, or search engines will raise your rankings faster than low traffic sites. Therefore look for web sites that already get tons of traffic. Offer exclusive rights to your article. Web site owners know they need to consistently write unique content but often don’t have enough time. You can help them out. Article directories such as Ezine Articles already receive millions of visitors per day. Submitting articles to this directory on a constant basis will produce a constant flow of traffic to your web site. your content you’ll attract a wider audience which means more traffic. Not every article will attract visitors but some will attract thousands. You never know which one or ones will generate the most traffic. Your chances increase by writing more articles. As long as your articles remain on the Net they will keep sending traffic to your web site for years to come. Offer to write an article for an online publication, newsletter, blog or web site owner. 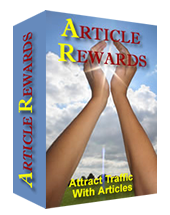 If your article gets published in a very popular publication you’ll receive lots of traffic. Ezine publishers are always on the lookout for unique content. Enter ezines+keyword or newsletter+keyword in the Google search box to find and contact ezine and newsletter publishers you can send your articles to. Often individual newsletters will attract more visitors to your article than submitting it to general directories. All online businesses constantly require content. If you can write an article, you have the capacity to start and build a profitable online business. Choose a niche or topic you are passionate about then start writing. An online business needs a web site to sell your product or service. You need content for these web pages that persuades visitors to purchase from you. An article can easily be converted to a sales page or content for web pages. For ecommerce websites selling many items write an introductory paragraph or two before displaying the item images. Building an email list is essential for building relationships with your visitors. Your newsletter helps you to stay in touch with your visitors so they will trust your recommendations for purchasing future products and services. Offer your audience your best written articles first before distributing them on the Net. If you build a large list of 1000s of subscribers you can send one email to this list that generates instant sales. For your web site to succeed it needs constant traffic. Writing lots of articles, submitting them to article directories, blogs, social marketing sites and including them on your own web site will attract lots of visitors. The amount of traffic you receive is proportional to the number of articles you write. Content on the web these days is not confined to text only. Video and audio is being used to appeal to a wider range of visitors. Some folks prefer to listen or watch to consume content. Some prefer all three methods… read, listen and watch. You can satisfy your customers’ needs by repurposing (converting) your written articles into video and audio then distributing it all over the web. Search engines spider content containing keywords people are searching for. For instance if you write a series of articles on “dog training” that includes keyword phrases such as dog training equipment, dog training collars, dog training collars, search engines will find your content and deliver visitors to your web site. Autoresponders are essential tools to keep in touch with your visitors. A customer sometimes needs 7 exposures to your message before purchasing your product. Offer an email course from your web site or to newsletter subscribers by writing a series of 7 short articles. Load these up in your autoresponder then send a different message for alternate days of the week. Each message should conclude with your product offer. The number and quality of links pointing to your web site determines your ranking in the search engines. Include your web site links in the resource box at the end of the article. People reading your article will link to it or place it on their web site, blog or in their newsletter. If your article gets placed on many web sites your rankings will increase dramatically because there are many links pointing back to it. If you apply these 7 strategies consistently, you can dominate any niche. Now go ahead and choose the niche you are passionate about and start writing lots of articles.